Today's cellular telephone systems are mainly circuit-switched, with connections always dependent on circuit availability. Packet-switched connection, using the Internet Protocol (IP), means that a virtual connection is always available to any other end point in the network. It will also make it possible to provide new services, such as alternative billing methods (pay-per-bit, pay-per-session, flat rate, asymmetric bandwidth, and others). 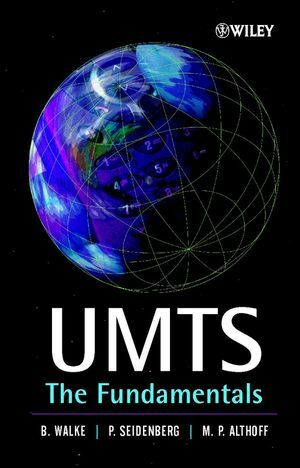 The higher bandwidth of UMTS also promises new services, such as video conferencing and promises to realise the Virtual Home Environment (VHE) in which a roaming user can have the same services to which the user is accustomed when at home or in the office, through a combination of transparent terrestrial and satellite connections. Bernhard H. Walke is a pioneer of mobile Internet access and professor emeritus at RWTH Aachen University in Germany. He is a driver of wireless and mobile 2G to 5G cellular radio networks technologies. The Protocol Stack at the Radio Interface. Data Transmission at the UMTS Radio Interface. The Physical Layer at the Radio Interface. Physical Channels and Procedures at the Radio Interface. Service Architectures and Services in UMTS. The Next Generation of Mobile Radio Systems. List of UMTS Release 4 Specifications.